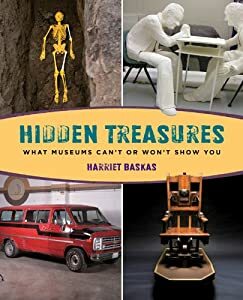 We’re coming up on the anniversary of the death of Richard Nixon (April 22), so here’s an excerpt from my book: Hidden Treasures – What Museums Can’t or Won’t Show You – about a few items tucked away at the Nixon Presidential Library and Museum. Richard Milhous Nixon, the thirty-seventh president of the United States, was among the country’s most controversial commanders in chief and the only United States president (so far) to resign the office. He served as vice-president from 1953 to 1961 and during a not-quite-two-term presidency (1969-1974) visited and initiated diplomatic relations with the People’s Republic of China, signed the Strategic Arms Limitation Treaty with the Soviet Union, signed legislation abolishing the military draft (1971), met with Elvis Presley at the White House (1970) and signed the Paris peace accords, which ended American involvement in the Vietnam War. These and any other accomplishments made by Nixon remain forever overshadowed by the Watergate scandal, which began with the news of a break-in at the Democratic National Committee offices in Washington, D.C. in June 1972 and spread to include a wide array of crimes, cover-ups, secret White House tape recordings and, on August 8, 1974, Nixon’s announcement that he’d resign the presidency the next day. After leaving office, President Nixon struck a deal with the General Services Administration that might have allowed him to destroy presidential and other materials that he claimed were his personal property. That included thousands of photographs, broadcast, video and audio tapes (including the secretly recorded “White House tapes), 46 million pages of documents and more than 30,000 gifts from foreign heads of states and American citizens, including treasures that include a diamond watch from the defense minister of Saudi Arabia, an official painting of St. Peter’s Basilica given to the president by Pope Paul VI, a painting of Nixon done on black velvet, one made of corduroy and another that depicts him as a gladiator. Congress and two decades of litigation succeeded in saving all those materials, and the collection now resides at the nine-acre Richard Nixon Presidential Library and Museum in Yorba Linda, California, which also includes the house Nixon was born in, his gravesite, and Army One, a helicopter used by Presidents Kennedy, Johnson, Nixon and Ford and the one that whisked Nixon away from the White House on August 9, 1974; the day he resigned office. Many artifacts from the collection are used in the permanent and temporary exhibits in the museum, but supervisory museum curator Olivia Anastasiadis says a few items seemed destined to stay forever tucked away in storage. Another item stored away is one Anastasiadis considered putting on display during the “Nixon as Icon” exhibit in 2011, but the white plaster sculpture of Richard Nixon arm wrestling the late Senator George McGovern (Nixon’s opponent in the 1972 presidential race) is damaged. “One of the feet is broken, one of the hands is cracked and before we could display it we’d need to find funding to get a conservator to fix it,” said Anastasiadis. The sculpture was made in 1972 by a group of ninth-grade students at Lancaster Country Day School in Pennsylvania. They had recently visited an exhibit at the Philadelphia Museum of Art that featured the work of pop artist George Segal, an artist who used unpainted white plaster casts of models as sculptures and their art teacher, Mary Elizabeth Patton, said her students were inspired to trying making their own plaster bandage sculpture. Because the Nixon/McGovern presidential campaign was underway, the class decided to portray the two candidates having an arm wrestling contest. After Nixon won the election, the school’s headmaster contacted the White House and a delegation of students traveled to Washington, D.C. to present the sculpture to a Nixon aide for the presidential collection.